The sun has certainly been quiet lately: in February it went an entire month without even a single sunspot. 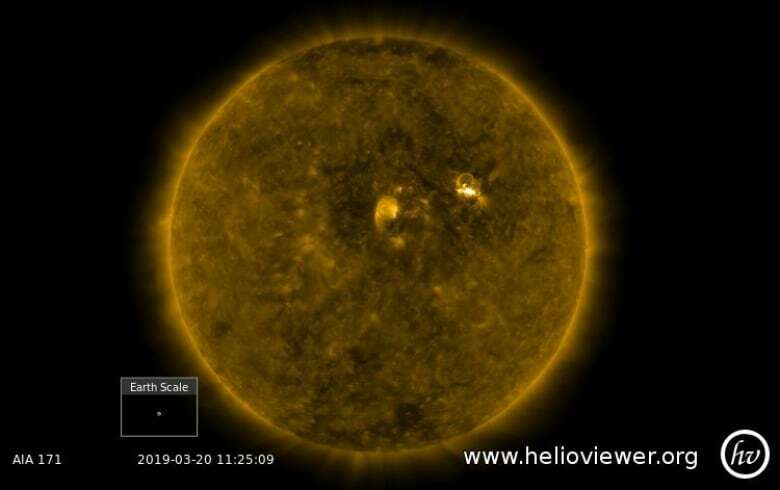 However, on March 17, a tiny, dark spot appeared on the sun’s surface. A few days later, another sunspot appeared that eventually produced a solar flare. The interesting story behind this eruption is that the sun is in a quiet phase of low activity, so it doesn’t produce many sunspots. But every once in a while, a sunspot emerges capable of erupting, as it did on March 20. 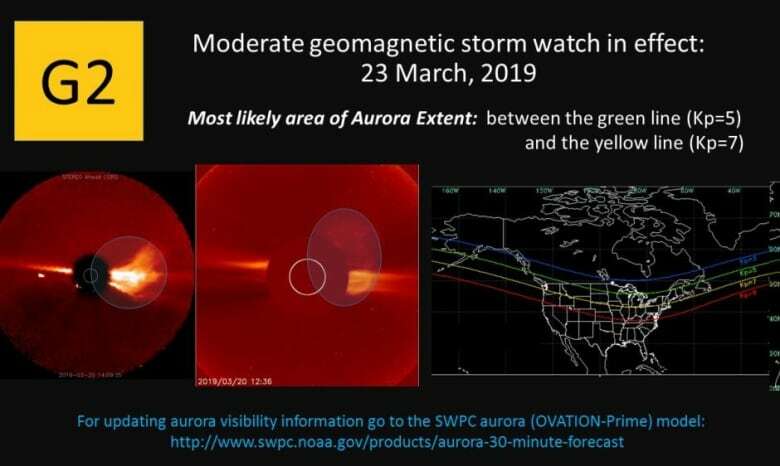 NASA’s Space Weather Prediction Center has issued a G2 geomagnetic storm watch. The scale goes from G1 to G5, the strongest. A G2 is considered moderate, but it also means the storm could produce northern lights visible as far south as the northern United States. So, if you have clear skies on Saturday, try to head outside and see if you can catch them. Of course, there’s no guarantee: it could miss us, it might not be as strong as anticipated or it may not dip down south enough for most Canadians to see it. But there’s a way you can find out. The strength of a geomagnetic storm is measured on something called the Kp index. A Kp index of 4 and you’re likely to be able to see it in dark skies (though in places like Toronto and Southern Ontario, it may be a bit more difficult). And just because forecasters expect the CME impact to hit on Saturday, doesn’t mean you shouldn’t go give it a look on Friday or Sunday. You never know.